“I always point out that at Kronborg they quite simply serve the best fillet of plaice with remoulade (traditional Danish relish). 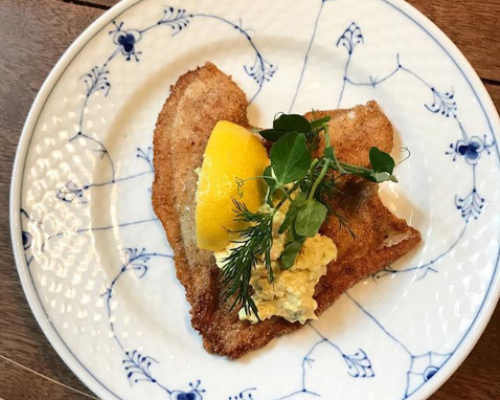 Pan-fried in butter.” writes the popular food blogger and cookbook writer, Thomas Alcayaga, under the headline “My 10 favourite restaurants in Copenhagen”. 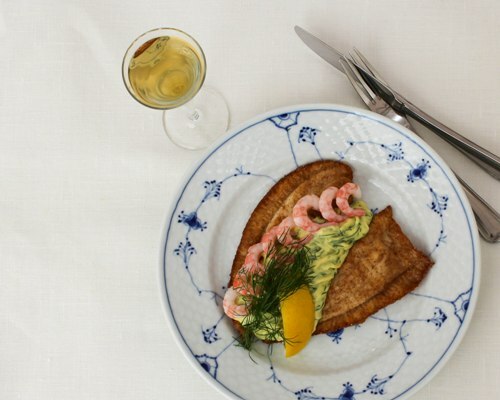 We served fillets of sole with “dillnaise” and hand-peeled Greenlandic shrimps as the second dish for the menu we had developed for food festival Copenhagen Cooking 2015. The “dillnaise” is also great with fillets of plaice. 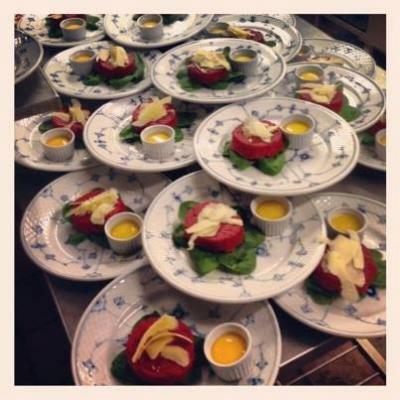 We developed a flavourful “dillnaise” (mayonnaise with finely chopped dill) for the delicate sole fillets we served for our “smørrebrød” menu for food festival Copenhagen Cooking 2015. The “dillnaise” became so popular that we decided to use it for the fillets of plaice on our regular menu. 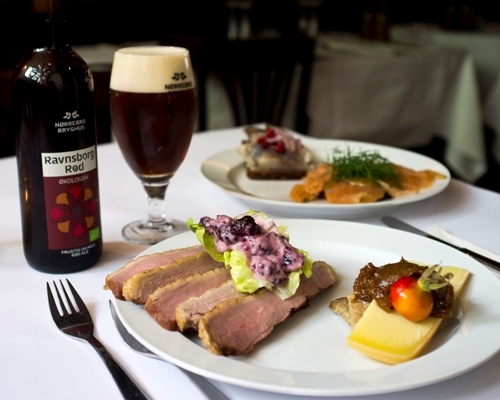 We celebrate Easter with a good, classic Danish lunch platter with herring, salmon, fillet of plaice, lamb, roast pork and cheese – preferably with a full-bodied Forårs Bock from Nørrebro Bryghus. The popular Copenhagen guide, AOK, recommends Restaurant Kronborg in its guide: The 5 places to eat Easter lunch in Copenhagen. 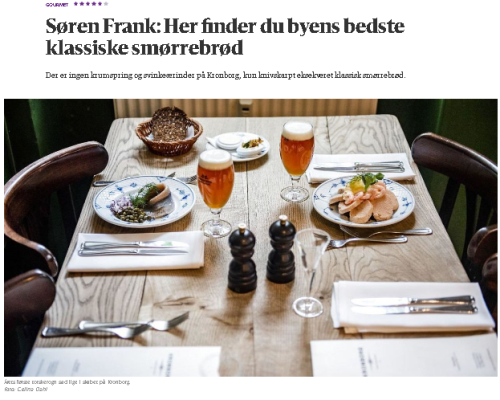 ”The classic Restaurant Kronborg is situated in the middle of the medieval centre of Copenhagen with its cosy streets and alleys, and serves well-tasting and classic, Danish “smørrebrød” in a lively atmosphere,” writes AOK.dk. 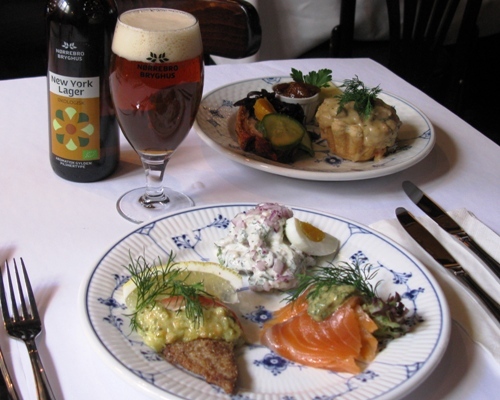 Restaurant Kronborg is open till 22 on Thursday 25 April and 11-17 on General Prayer Day, Friday 26 April, 2013. 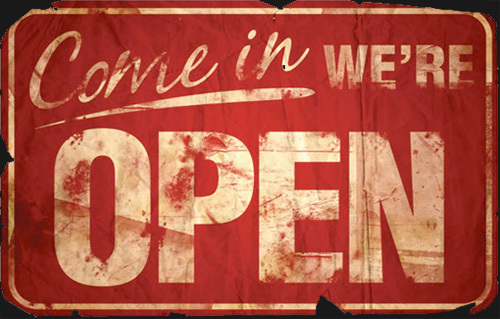 Restaurant Kronborg is open 11-17 on General Prayer Day, Friday 26 April, and till 22 the night before, Thursday 25 April 2013. ”The classic Restaurant Kronborg is situated in the middle of the medieval centre of Copenhagen with its cosy streets and alleys. 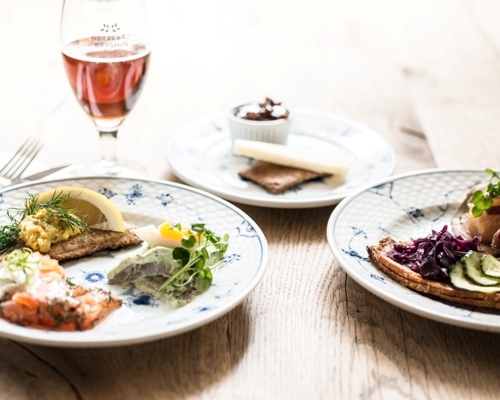 The restaurant serves tasty, classic open-faced sandwiches in a lively atmosphere,” writes popular Copenhagen Guide, AOK.dk, recommending our Easter lunch. 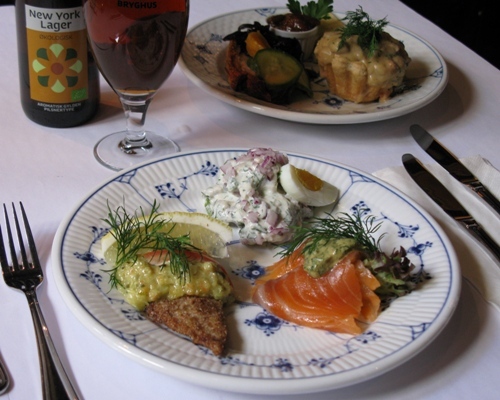 The popular Copenhagen guide, AOK.dk, recommends Restaurant Kronborg in its guide: The 5 places to eat Easter lunch.